The chief of Pakistan's naval staff Noman Bashir said he looks forward to see more cooperation in the submarine field between China and his country yesterday during a press interview in the Pakistani embassy in Beijing. The visiting navy chief already met with Chinese Defense Minister Liang Guanglie in Beijing on Friday last week, according to Xinhua News Agency. In addition to submarines, the admiral told China Daily yesterday that he has talked to Chinese officials buying bigger ships than the current F22P frigates. "The F22P frigate is about 3,000 tons, and now we are talking about 4,000-ton ships. .These are very big projects and we think the cooperation is important for both countries, especially Pakistan." Bashir highly praised the Chinese military technology, saying he's happy to say that China is keeping pace with the changing world and efficiently adopting new technologies. He said the warships are of the latest technology, and have the all-round capability to target surface ships, aircraft and submarine. "The F22P frigate can be deployed to complete multitasks. The ship is balanced for offense and defense, and can be used in both peace and war time, if there is a war." The first of the four F22P frigates ordered by Pakistan was delivered in July this year and is already in service. The admiral stressed that this was his third visit to China this year because Pakistan attaches great importance to its cooperation with China not only on naval matters but in other fields. He said the F22P and JF-17 Thunder fighter plane are the two major projects in addition to other projects including development of ammunition, design, equipment and weapons. The admiral said his country plans to buy more weapons from China in the future, such as bigger ships and missiles. Zhai Dequan, deputy director of China Arms Control and Disarmament Association said that Pakistan's proposal in submarine cooperation is likely aimed at its sea border protection. "The initiative may invite concerns from its neighboring countries. But the doubts are unnecessary." Zhai said it is normal for an independent country such as Pakistan to actively seek military defense, and meanwhile India also has large projects with the US and Russia. "India's aircraft carrier has already cost it billions of US dollars." He added. Edited by Magnus, 22 December 2009 - 12:29 AM. Chinese Song class subs have become a deadly addition to the PLAN second strike armada. Keeping in mind of our financial woes .. & also remembering that no sanction will halt the delivery, I would like to start the possibility of evaluating this superb piece of equipment ... of course it all depends if China wants to negotiate it's sale, as it is very sensitive and I would understand their hesitation. However, knowing that they are even ready to mate our J10's with third party equipment as per our specifications, I don't see a major issue, but again will they want to part sensitive technology with the likes of our democratic govt ! Edited by Magnus, 22 December 2009 - 05:59 AM. Yes PN did state it had more requirement for F-22Ps than just 4 and the local production will be helpful in increasing the surface fleet in the long run according to availability of funds. According to "Pakistan Ministry of National Defense" Web site on April 29, Pakistan has decided to purchase four additional F22P type ( "Jiang Wei," Class II) frigate. The report said the four newly purchased ship with Pakistan in 2005 ordered four compared with a displacement from the original 2,400 tons to 3,000 tons, shipboard weapons at the same level has been further improved and enhanced. Under the contract, all of the eight-F22P frigates will be delivered in six years. Four of them will be in Karachi, Pakistan shipyard production. Currently, the construction has an expected completion in 2008." I believe he is quoting above citation. Edited by Magnus, 22 December 2009 - 10:06 AM. I think the end deal will be 4 + 4(improved western parts) F22p, 4 54A and some subs with option to move nuclear. 2015. FFG-8 McInerney frigate is also coming in Aug 2010. Edited by Magnus, 22 December 2009 - 11:46 AM. I don't think PN pursue additional F-22P, instead it should acquire the South Korean FFX or Turkish TF-100 for ships in this class. Otherwise, it should pursue systems such as the Type-054A and Yuan SSK (w/AIP). Though I wonder if it would be possible to use the U-214's fuel-cell based AIP system on the Yuan? In any case, priority should be given to these larger and more advanced vessels. After 2019, we may see fleet-expansion in the form of corvettes (MILGEM) to take up general-duty and ASW roles, as well as induction of frigates such as FFX or TF-100 (or a Pakistani-developed equivalent) to supplement the larger frigates. This is another avenue PN must take seriously into consideration for development now rather than later. buying similar systems from Russia and the United States. He indicated that China was conscious India might be worried about the sales. "The initiative may invite concerns from its neighboring countries. But the doubts are unnecessary," Zhai Dequan, deputy director of China Arms Control and Disarmament Association, was quoted as saying in the official media. 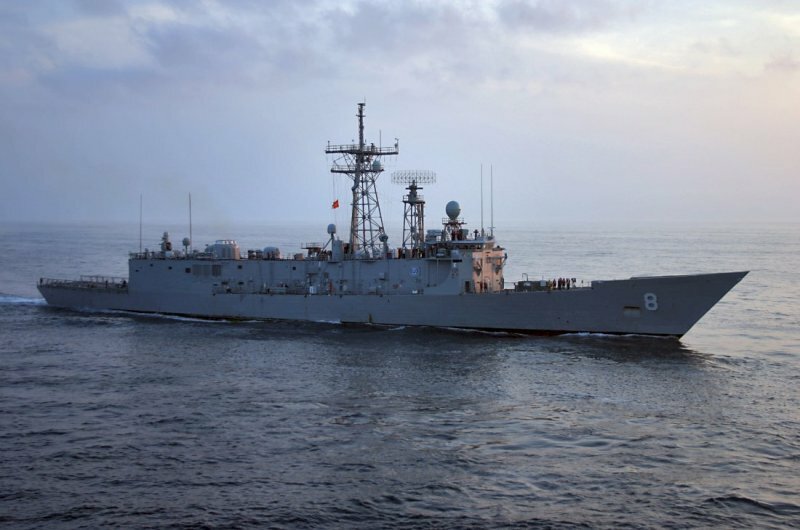 The statement came in the midst of efforts by Norman Bashir, chief of Pakistan's naval staff, to persuade Beijing to sell higher capacity ships as compared to the F22P frigates that China begun delivering last June. Zhai said Pakistan’s desire for high capacity systems is normal for an independent nation seeking to bolster its security. India has also entered into large deals for military hardware from the US and Russia, he said. "India's aircraft carrier has already cost it billions of US dollars," Zhai said. Bashir, who met Chinese Defense Minister Liang Guanglie on Friday, said Pakistan was keen on buying bigger ships and more JF-17 fighter planes from China apart from the submarines. Pakistan will buy more weapons including missiles from China in future, he said. "The F22P frigate is about 3,000 tons, and now we are talking about 4,000-ton ships. These are very big projects and we think the cooperation is important for both countries, especially Pakistan," he said. Pakistan booked four F22P frigates from China in 2005 and the first one began sea trials last year. Islamabad followed it up with another order of four more ships of same kind in 2007, the Chinese media said. Bashir showered fulsome praise on Chinese warships saying they use the latest technology, and have the all-round capability to target surface ships, aircraft and submarine. "The F22P frigate can be deployed to complete multitasks. The ship is balanced for offense and defense, and can be used in both peace and war time, if there is a war," he said. This is his third visit to China this year. Edited by Magnus, 23 December 2009 - 03:02 AM. In one of the top brass meeting one of the senior officer said that "We should go for more F22 Papa or bigger Chinese platform " and i think this is what is happening . the Type 054A weighs approx. 4000 Tonnes..... !!!!!!!!!! Amidst the eternal waves of time. My knowledge on naval warships is rather limited. Having said that, are OHPs better thn 054As? I know OHPs are better than F22Ps. According to the German ambassador to India sales of important weapons to Pakistan have been dropped (most presumed to be U-212), and we've also not heard of this issue for a while? One of navy generals said in Chinese TV that 054A is THE best frigate in the world. Not one of the best? No, he emphasized "the". There might be different opinions, for instance, 054A should have better anti sub capabilities. As to air defence HHQ-16 is quite good against both airplanes and cruise missiles. According to an insider's post in Chinese forum PLAN has deployed so called 2x 4s supersonic anti-ship missiles on 052C destroyers and 054A frigates. The ships have canisters of a mixed YJ-83 and YJ-1X missiles. The supersonic antiship missiles coded as YJ-1X has been known to Chinese forumers for quite some time. One of the variant deployed is said to have 4M cruising speed and a distance of 400km (2x 4s, shuangsi in Chinese). As to the submarine cooperation it might be feasible for Pak to rent a 093 SSGN from China and to develop your own sub launched Babur with nuclear tipping capabilities. Unless the OHPs are upgraded with Mk.41 VLS & ESSM, new radar, sensors, electronics, etc, the Type-054A is clearly superior. However, the OHP may have an advantage in terms of ASW, but I'm not fully sure. I wouldn't take that seriously, it wasn't even a direct quotation let alone the fact it came from an Indian media print. The Prime Minister and Pakistani officials said the deal is still on, and H Khan on PakDef confirmed that as well. We have to upgrade her with the US Aid for terror grant, about $ 65 Mils. Then we'll be using her to patrol in Somalian water's hunting pirates, that's the condition. This is good news, Pakistani Navy needs to grow some more, both to tackle India but also to protect our territorial waters as well as Pakistani registered civlian ships from Pirates and terrorist attacks. india should hurry in completing kolkata class warships to regain the balance of power which is currently in Pakistan's n china's favor.more talwar class ships will be iceing on the cake. The Indian objections have nothing to do with it bro. The article was from the Hindu about the German ambassador’s comments. What is delaying the deal is now is our present government who is not pushing the contract forward. This has been the case since they came to power. India has never been able to stop weapons purchases from us. It seriously makes me proud at how quickly the navy is improving both quantity and quality wise. It has been a long time coming, our Navy has always had the short end of the stick when it came to priorities. Not any more. Credit should be given to the naval chiefs for their forward thinking. The pursuit of the 054 is not the end game, as we have discussed a good few years before such news came to prominence. Larger ships are on the cards, which will entail a large significant naval force. Its displacement has been estimated to be 3,600t dived. The YJ-85, C-805 export name, is a land-attack cruise missile variant of the YJ-8 anti-ship missile family. It is said that YJ-85 navigation system is based on a combination of GPS and terrain recognition. Overall performance of this land attack missile is close to the US SLAM which is, as well, a derivative of the Harpoon anti-ship missile. The YJ-85 may enter service with the People's Liberation Army Navy (PLAN) by 2010. India's short term lease of a Charlie 1 Class SSGN in 1988 resulted in negotiations with Pakistan for a lease of a Han. Pakistan's request for one was withdrawn when India returned the Charlie 1 in 1991. After Arihant development news its all but logical for PN to go down this path in future.